Level up your online shopping with these handy apps. Because sometimes you need to secret shop in the office no? ShopStyle is not so much an online store, but more a directory of all your favourite online stores. 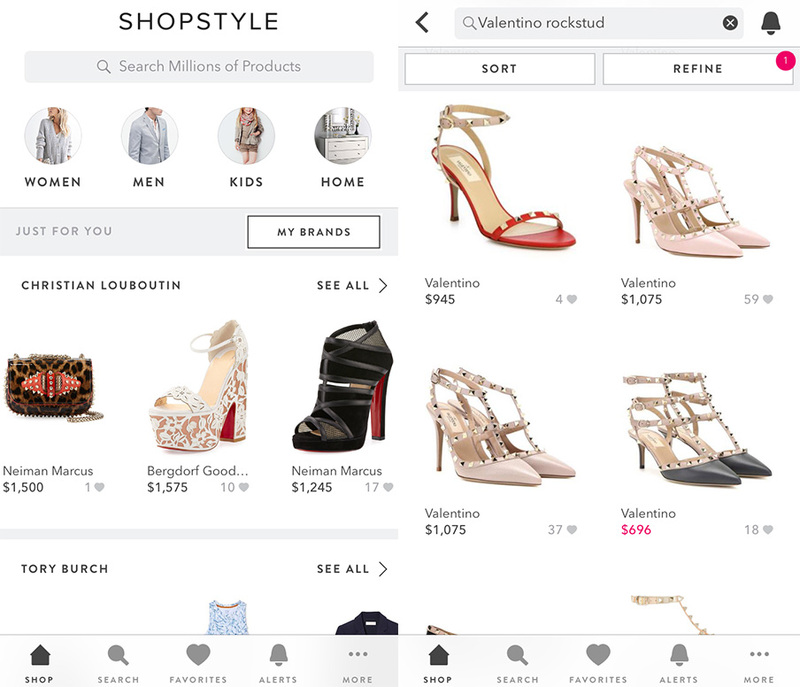 The app, which is run by POPSUGAR, allows you to search for items across thousands of different retailers – including Neiman Marcus, Net-a-Porter, MyTheresa.com, ShopBop and many more. This way, you can easily see what sizes, colours and styles are in stock, as well as compare prices from the different retailers. Can’t resist a good bargain? You can also sign up for sale alerts for your favourite items, so you can snap them up once they go on sale. Now that’s what you call shopping smart. Ahh Shopbop, the stuff shopping dreams are made of. With free express shipping (on orders above $100), excellent customer service and a multitude of cool contemporary brands, what’s not to love about it? 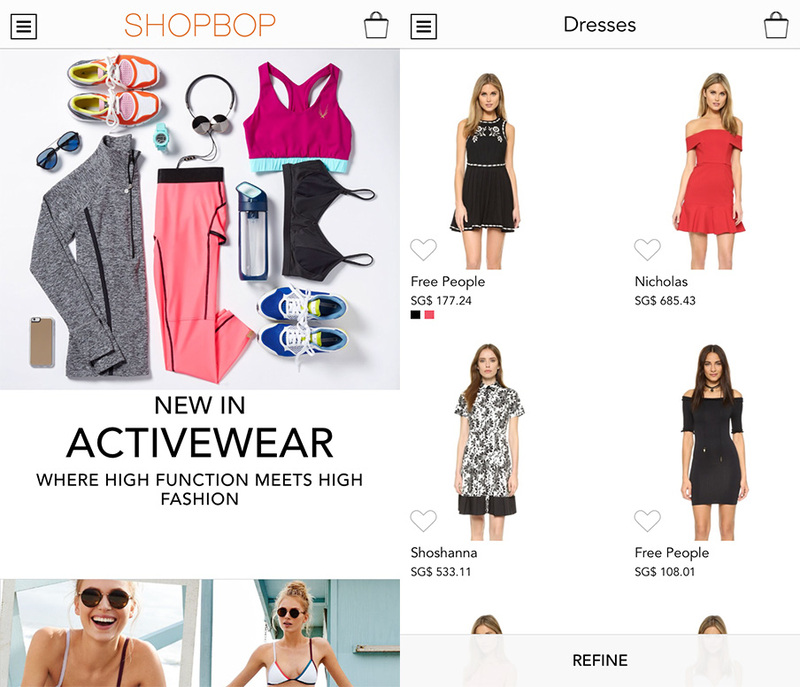 With the Shopbop app, you can now shop to your heart’s content on the go. Unlike most online stores, the app is surprisingly easy to use and check out on (read: seamless checkout process and doesn’t crash). You can even add items to your Wish List with just a single tap. Perfect for when you need to do some secret shopping in the office. Coveting a brand that isn’t readily available in Singapore (or online)? Farfetch has you covered. The online store curates fashion items from boutiques all over Europe, so you can get easy access to your favourite designer brands at the click of a few buttons. The brands that Farfetch offers range from contemporary labels, such as Markus Lupfer and Sophie Hulme, to luxury brands like Saint Laurent and Givenchy. 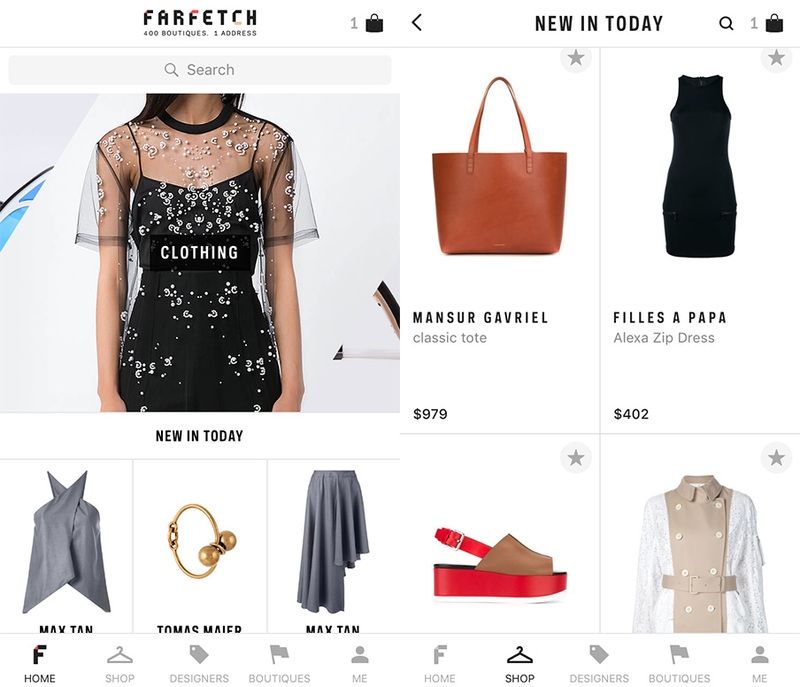 Use the Farfetch app to search items by designer or category, then use the handy filters to narrow down your search. Don’t forget to add your favourite items to your wish list too, because with the Farfetch app, you’ll be the first to know about sales and promotions. The EDIT by Net-a-Porter is an interesting take on online shopping. Instead of your usual item listings, the app is actually an online fashion magazine which you can shop from too. A shoppable magazine, if you will. 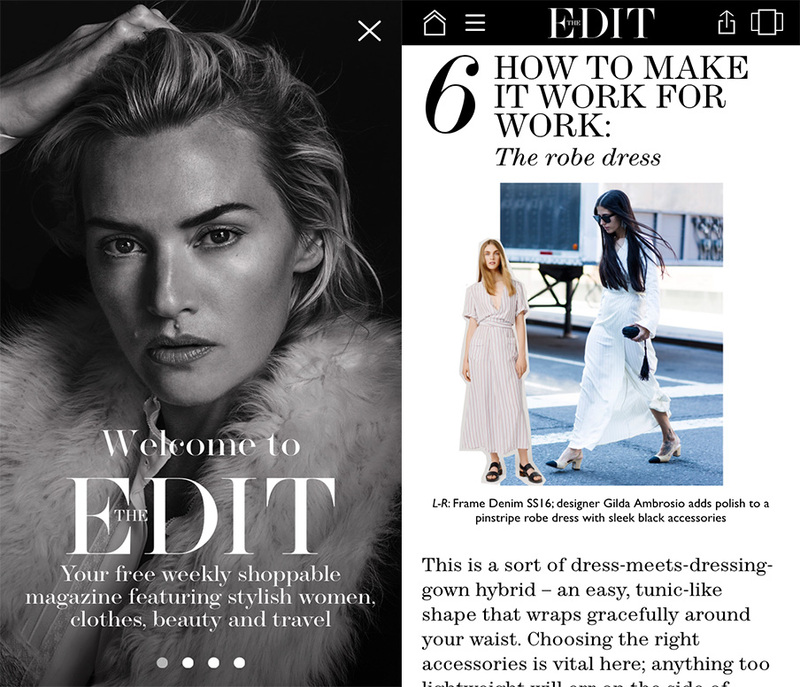 Instead of flipping through glossy pages, you can swipe through the curated editorials on The EDIT app. Like an item you see? Click on it, and the app will take you to the item listing page, where you can view the details and purchase the item. Who said reading was boring eh? 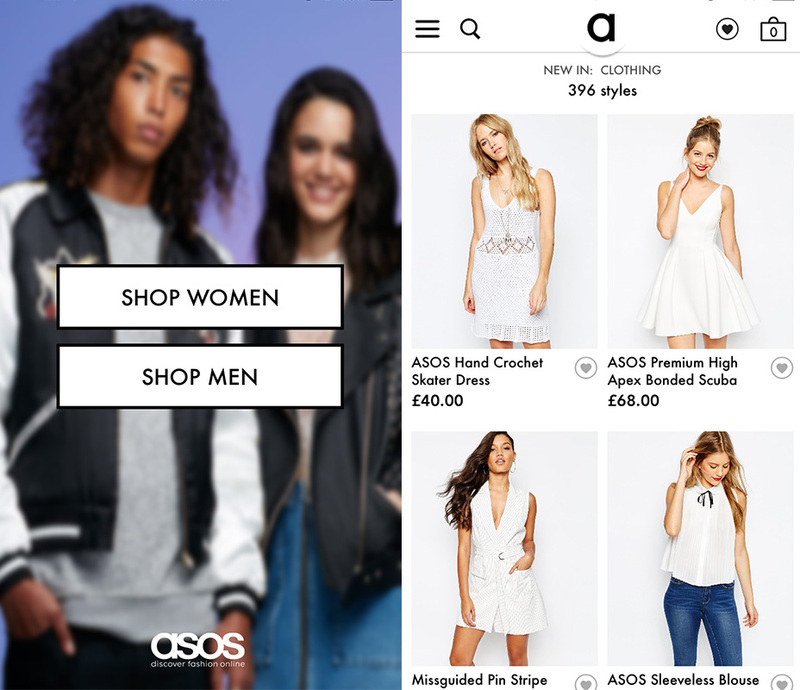 ASOS needs no introduction, but you’ll want to download the app ASAP. With access to over 850 high street and mid-luxury brands on the go, you’ll never be bored on your commute again. In fact, the app is so clever that it even has a My Recommendations section, which suggests items based on your purchase history and saved items. The app also notifies you about sales and promotions on ASOS, so you’ll always be in the know. Go on, succumb to the temptation. 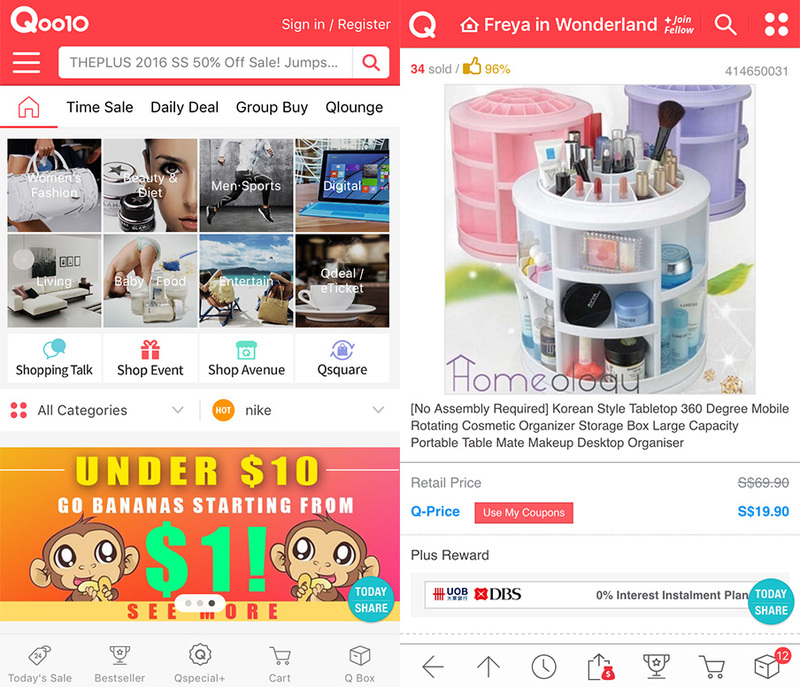 Bargain hunters are sure to be familiar with Qoo10, everyone’s favourite site for unbelievable deals (and sometimes dodgy but useful items). Surprisingly, the Qoo10 app is relatively easy to use. Perhaps even – dare we say – easier to navigate than the Qoo10 website itself. Shop your favourite items from Korea, Japan, Taiwan and more, with discounts as good as 80% off regular retail price. You can also check in on the app to play Roulette Q, a spin-the-wheel type game that lets you earn discount coupons and more. If you love bargains, then it’s about time you downloaded the Groupon app. The flash sale site offers huge discounts on everything from holiday packages to um, Chilli Crab. 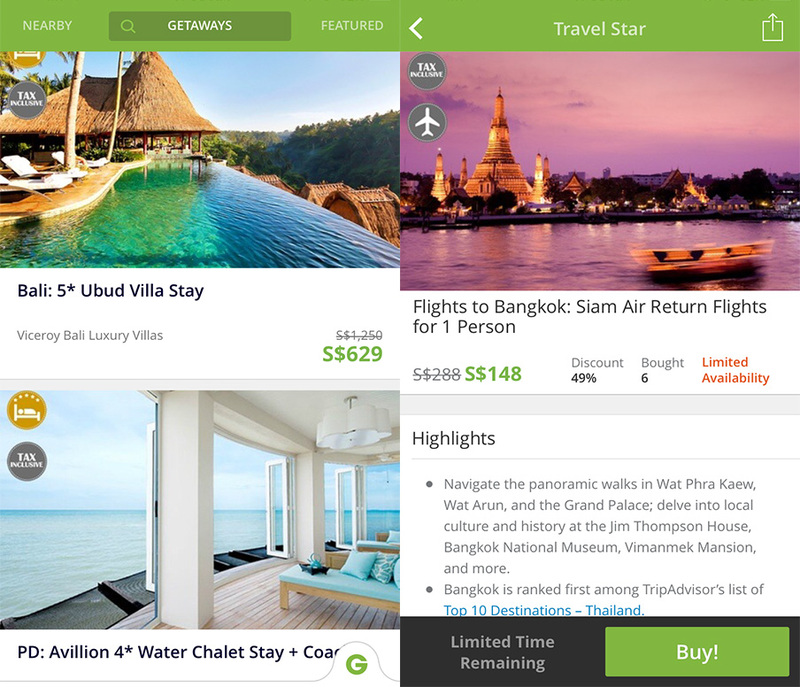 With the Groupon app, you can easily search for great deals (by price and location) and purchase them on your smartphone. The best part? You won’t have to waste paper (and time) to print your voucher or coupon. 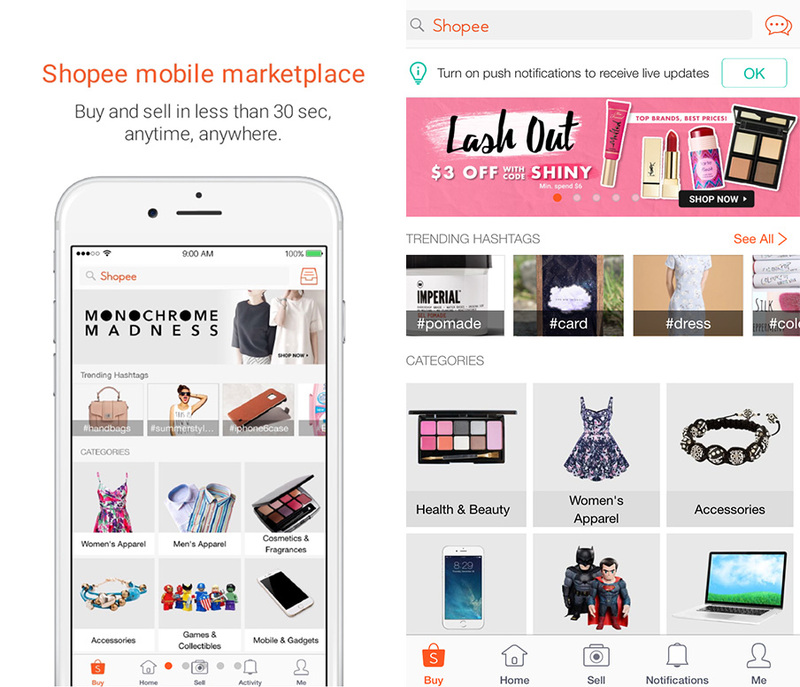 If you’re familiar with Carousell, you’ll find yourself at home with Shopee, a marketplace app that lets you buy and sell all sorts of items. The difference though, is that Shopee is catered more towards stores and professional sellers, rather than casual or secondhand ones. Shopee also has an integrated payment system, so they hold the funds and release them only when the item has been delivered. No dealing with scammers or no-shows here. You can buy or sell anything from clothes to home items on Shopee, and there is even a Daily Discover section with a curated selection of deals. Need some shopping inspiration? Search items by trending hashtags, such as #koreanfashion and the like. Pretty cool, huh?